What are key issues that are the focus of Sarawakians? The main concern for Sarawakians is having opportunities for their children. The governance and systems have been run so poorly in Sarawak due to corruption that only the elite have benefitted from the policies of the government. Many want fairer government policies so that their children will also benefit. For instance, there was a 10 sen increase in kerosene and diesel prices in January. The price increase has a big effect on the rural folks, especially in the Dayak longhouses because their generator sets depend on kerosene to light their lamps. Some longhouses collectively buy a bigger set which costs a lot but may decrease their individual costs as it is shared. However, now there is a lot of squabbling due to the price hike as people are worrying over the greater costs on their own families. This happens right outside Sibu, in Penasu which is a stone’s throw away. In Batang Ai, there is a hydroelectric dam with high-tension cables 200 feet above the longhouses that is able to provide electricity for the whole of Sarawak, yet these people are not given electricity supply. Many longhouses have wiring for electricity but the power is not connected. This is not because they don’t want to pay; for the most part, it is just that Sesco (Sarawak Electricity Supply Corporation) does not want to connect them to the supply. What is the job situation like now in Sarawak? Youngsters in Sarawak are going over to the Peninsular in droves. In the Dayak community, 40,000 have gone to work in Johor. We do not know exactly how many are in other parts of the Peninsular but the numbers would be significant. Among the Chinese, at least 85 percent of Sibu households have children who are working outside of Sibu. Many parents who send their kids to study outside the city have told them to look for a job over there and not to return to Sibu because there are no job opportunities there and this applies throughout Sarawak, too. The government policies are just too unfair that the ordinary public cannot reap benefits. In 2010, I spoke to various families in Sibu to see if their children were going to return upon graduation. For law graduates, only one in ten planned to return and the same applied to engineers, accountants, doctors, actuarial scientists and so on. Those who return have relatives who are at the management level in Sarawakian conglomerates; otherwise they would come back just to be unemployed. Is the BN state government solving the problems? In terms of improved governance, we can never see this happening under Sarawak BN. They have had 47 years now and things are getting worse. The statistics do not tell us the truth; the people are aware of how rampant corruption is. The word “greed” is so implanted in the people’s minds that they are really keen for change and the government is not delivering. What can Pakatan Rakyat offer instead? Should we become the government, we would implement the CAT principles of the Penang government. As a start, every project must be done through open tender. Most importantly, those people who have plundered state resources must be brought to the book. 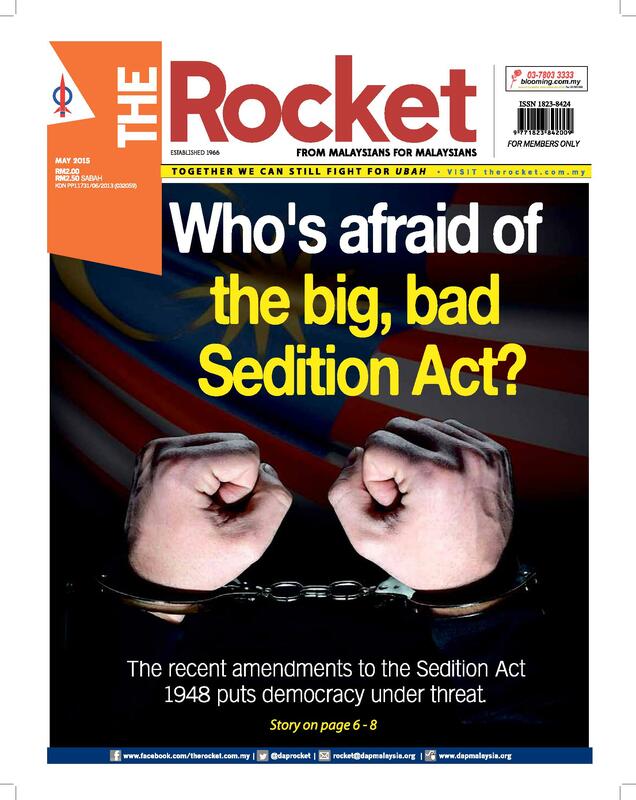 Sarawakians would expect us to bring all those culprits who have stolen resources to be held accountable. What are some of the pressing issues that concern Sibu and its surrounding areas? 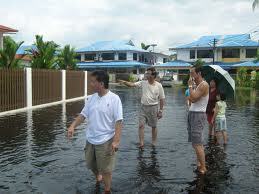 One of the primary issues in Sibu is the floods. The floods have been a problem for at least 20 years but BN have not dealt with it seriously until the Sibu by-election last May. Now they have allocated RM100 million as part of flood mitigation efforts. But the measures that were implemented are inadequate; for instance, they tried to raise the roads as bunts. However, it is not necessary as Sibu is not below sea-level. Now they are addressing the clogged drains, doing so in time for the state elections because they want to get back the Bukit Assek state seat. Previously they gave the excuse that many homes in the area are on “bakau” (mangrove) land so it would dry up if it were exposed to air by the cleaning the drains and thus the houses would collapse. 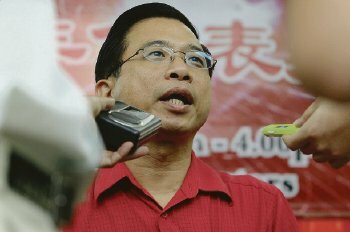 By cleaning the clogged drains, the water from the Rejang river would flush in to the low-lying houses in Sibu more frequently than before. This may sound ironic but it is due to the Rejang river bed being shallower as a result of siltation. Thus, the river bed needs to be dredged so that water is discharged more quickly to the sea. Otherwise, rain water will cause the banks to overflow right into residential areas. The government has said it will incur large costs to dredge the river banks. However, we do not need the government to allocate the money for river dredging. The contractors involved in projects nearby can do the dredging and the sand that is used can be a form of returns for them. They can pay the Land and Survey department royalty of RM1 per cubic metre of sand dredged. They would also pay RM 2.9 per cubic metre of royalty to the Land Custody and Development Authority (LCDA) so then the government need not pay and can collect revenue instead while still resolving the flood issue. Sibu has traditionally been very dependent on commodities such as timber in particular. But with heavy logging, can this be sustainable for the job market? Our timber industry is no longer sustainable and it is in its sunset years now. Many of the timber companies have gone outside Sarawak, over to New Zealand, Africa, Russia, Papua New Guinea and so forth. Agriculture is a good way to diversify the economy because there is so much unutilised empty land in Sarawak. It would be suitable for tapioca, sugarcane, paddy and Indian corn (used for biofuel) but it hasn’t been used for these purposes. 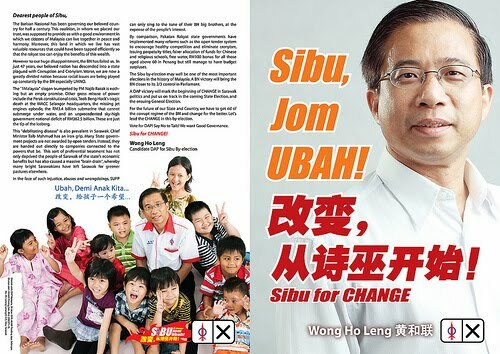 What can DAP and PR do to solve these issues facing Sibu? Concerning the flood issue, other divisions in Sarawak also face the same problem and a holistic, state-wide approach with proper funding must be undertaken. The federal government needs to be involved, because the state government, whether BN or PR, cannot solve the flood problems by itself. However, even if the federal government cuts the flow of money to Sibu because it voted in the opposition, the people will still vote for us because they are used to the floods. This is a clear message from the ground;they are determined to remove the BN government. How are the preparations for the elections going for DAP? What are the issues for DAP in this campaign? This article was written by admin on Thursday, April 7, 2011 at 3:08 pm. You can follow any responses to this entry through the RSS feed. Both comments and pings are currently closed.